Astronomers who are not devotees of the fibre arts or might be surprised to learn that there are many, many yarns named after things astronomical. Why, you say? There are a huge number of craftspeople who produce hand-dyed yarns for knitters, crocheters, and weavers, including my town’s own Sheepspot among others. These folks need to distinguish their different colourways (the result of all of the dyes applied to one particular yarn, could include many colours) and bases (the type of yarn being dyed, distinguished for example by thickness and type of fiber such as wool, silk, or cotton). Some colourways have names which just describe the colours, but many others are inspired by something else: superheroes, birds, Doctor Who characters, Sherlock or Firefly quotes, you name it. Hence, astronomy-themed yarns. Here is a round-up of a few different places to find them; this is by no means exhaustive! Luna Grey Fiber Arts has bases like starbright, Lyra, Orion, and Supernova. They also sell a kit for the White Dwarf shawl. Barking Dog Yarns has bases Galaxy, Sirius, Antares and Cassiopeia (no, I can’t spell that one correctly the first time either). Cosmic Fibers Yarn also goes with the constellation theme for bases, including some of the more, shall we say, obscure constellations like Ara and Pyxis. Solstice Yarns seems to have had a number of astro-themed yarns in the past, including a beautiful Andromeda but none listed currently. 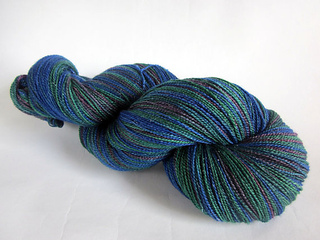 Alcidina has some beautiful colourways inspired by Hubble Space Telescope images but seems to be on temporary hiatus. It’s worth checking back later for these. The list so far has focused on independent dyers with a heavy astronomy focus, but there are many larger yarn companies with some astro-themed yarns like Berroco’s Quasar and Prism’s Galaxy plus plenty of one-off colourways like Blue Moon’s Stardust. As most yarn fanatics know, Ravelry’s databse is your friend, although as far as I know you can only search it by yarn name and not colourway name. What are your favorites? Send them to me and I’ll start a list!